Pliers, Wire Cutter, Fine Edge Blade. Medium Flathead Driver, Crosshead Driver. Overall Length: 4 1/4 in, Closed Length: 2 3/4 in. 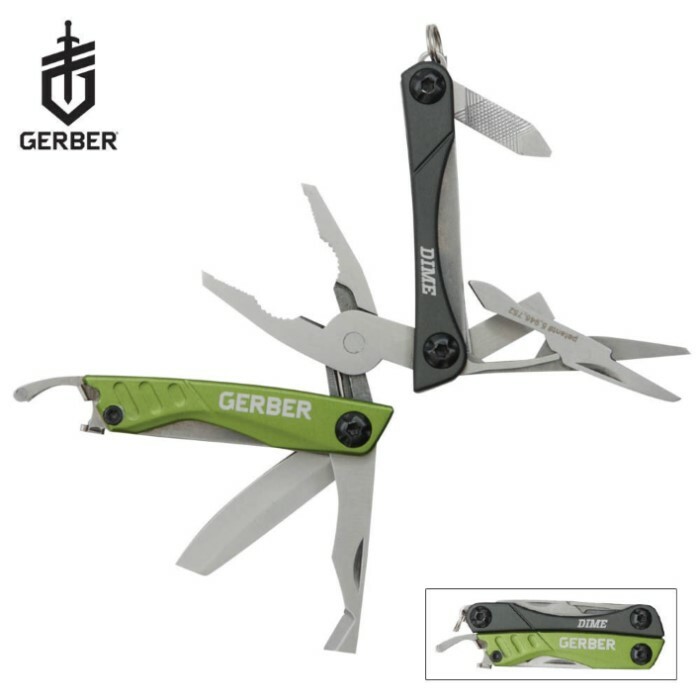 Gerber has improved upon the standard keychain multi-tool. Features include stainless steel pliers, wire cutters, a fine edge blade, spring-loaded scissors, flathead screwdriver, Phillips head driver, tweezers and a file. It also has a unique blade designed to safely cut and score plastic packaging, and a bottle opener that is usable even when the tool is kept closed. Compact and lightweight, this tool measures 4 1/4 in. open, 2 3/4 in. closed.